Collateral Thinking is an arcade-style action platformer for Wii U that's all about beating up alien ghosts, recovering blueprints, and rescuing billionaires on a tight schedule (and budget). 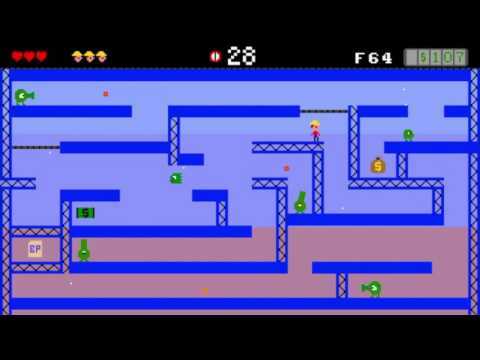 Each level is a self-contained screen that gives you one of three specific tasks to complete in 30 short seconds – to "Avoid" all the hazards, to "Bust" all the enemies, or to "Collect" all the blueprints. These quickfire challenges force you to quickly survey your surroundings and then jump into action in order to progress through the 100+ floors and net as much cash as possible along the way. Collateral Thinking takes the single-screen management of yesterday's classics and then cranks up the speed and the absurdity by 100 for unpredictable, impulsive action! With over 100 levels, three playable characters, and a ton of toe-tapping tunes, Collateral Thinking is more than ready to satisfy your arcade addiction! 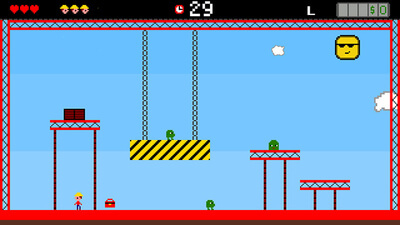 Its gameplay is extremely frustrating and entirely based on trial and error, forcing the players to repeat the sames stages over and over under an extremely tight time limit and making use of very inaccurate and imprecise controls, which will only aggravate the players' overwhelming sense of frustration. While not a bad game by any stretch, Collateral Thinking struggles to draw players in. Its control issues (which are apparently being addressed in a post-launch update) and uneven music only serve to accentuate the trial-and-error gameplay that will frustrate most casual players enough to make them give up early on. Give it a try if you're looking for a retro arcade experience, but be warned that you'll be replaying the levels a lot. Collateral Thinking is a cute and challenging platformer with simple mechanics. It is ideal for short bursts of play as 100 floors at 30 seconds each is not very long. This only costs $3, so there’s enough bang for your buck in this one. I enjoyed my time with the game for my Collateral Thinking review and I definitely think this one is worth a look! Collateral Thinking doesn't suffer from a lack of variety so much as it suffers from its excess. The goals in each level are constantly changing, and with only 30 seconds per level, it feels like a mad rush to get moving, which is counterintuitive to how the sticky controls dictate the pace of play. 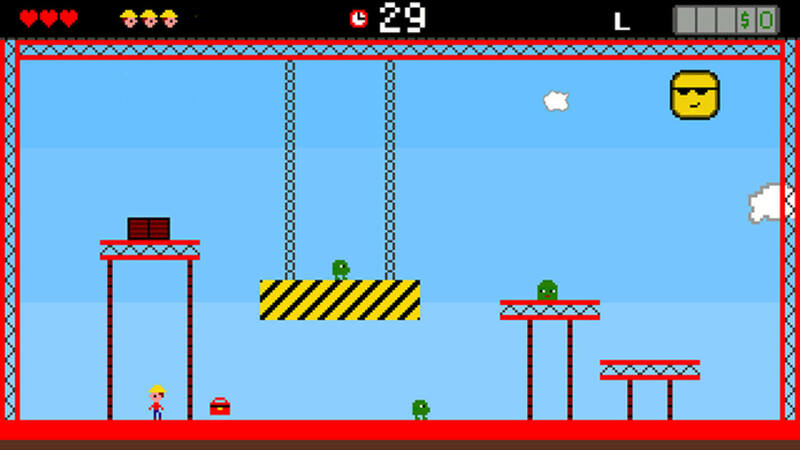 The levels sort of work when confined to one specific design, but the constant jumping between objectives is annoying at best and frustrating at worst.